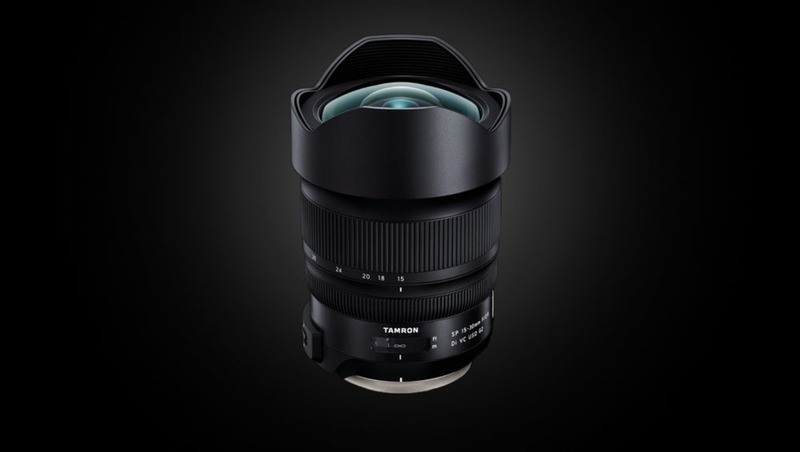 Tamron has announced a new generation of wide-angle lenses that surpass their older models with superior optical, build, and stabilization features. Fast lens having a maximum opened aperture at f/2.8. 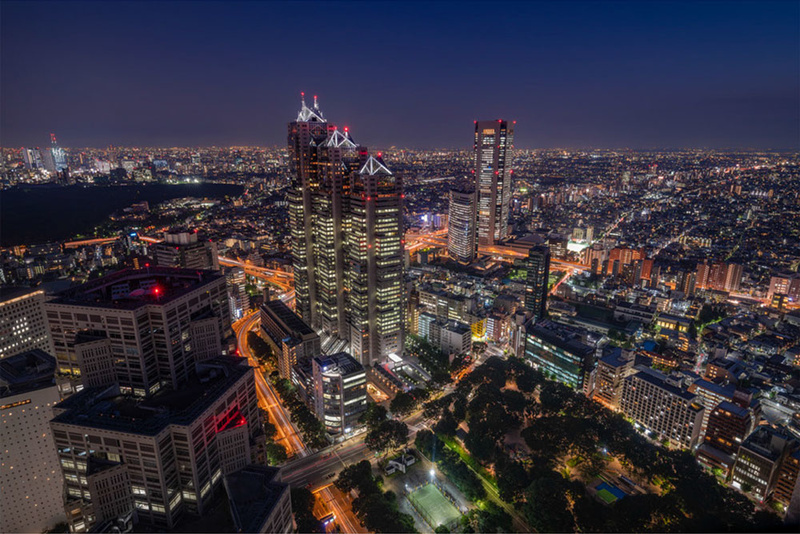 Minimized optical distortion and lateral chromatic abberations which are a common problem with wide-angle lenses. These issues are reduced by the use of an XGM (expanded glass molded aspherical) lens element, as well as multiple LD (low dispersion) lens elements. Sharper and cleaner images with almost eliminated ghosting and flare using a newly developed anti-reflection coating. Improved autofocus and image stabilization (up to 4.5 stops) with the help of a built-in MPU (micro-processing unit). Moisture-resistant and more durable construction using a newly developed Fluorine coating. Rear-filter holder (Canon mount only) allowing to use filters which are usually hard to fit in front of a wide-angle lens. 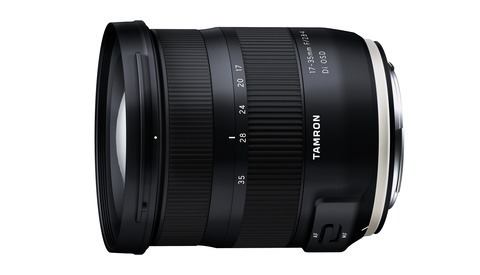 Compatibility with the Tamron TAP-in Console allowing you easy firmware updates, fine-tuning of the autofocus, and more. 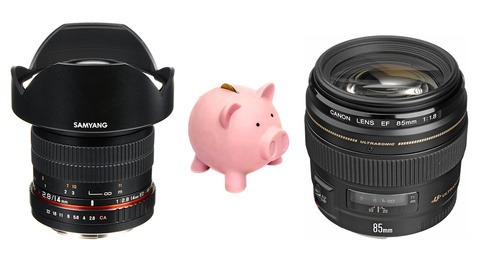 The lens is at a suggested retail price of $1,299. It will be available for Nikon and Canon EF mounts on September 21, 2018 and October 12, 2018 respectively. But... Does it have 2 card slots? 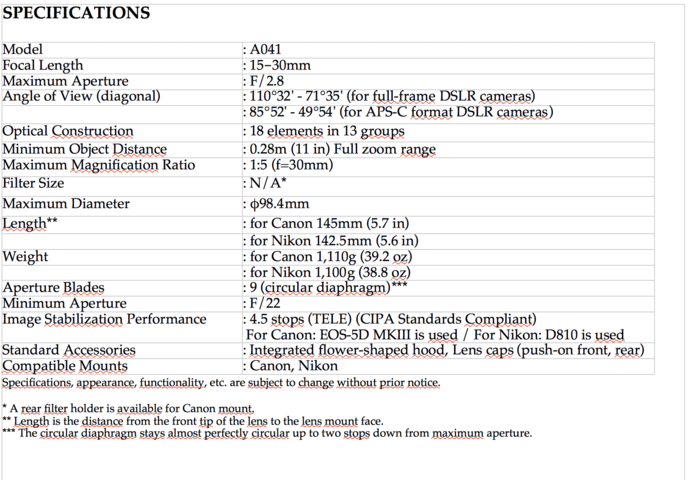 Just 1 slot for Canon (filters). For a Nikon user what are the filter options? Funny thing: Its the same lense as the Pentax DFA 15-30mm 2.8. The only changes are 1° in the View and 60g of weight. It's not a secret manufacturers watch each others' products and copy. Could be a copy of this one. 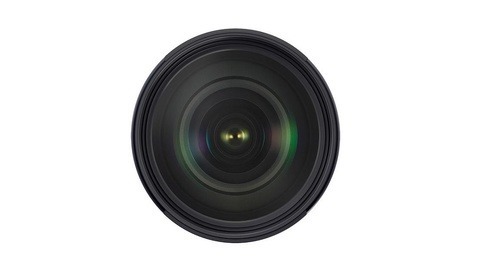 The Pentax version is a slightly modified and rebreanded version the Tamron 15-30 v1. This is V2, and I hope Pentax does the same and brings this one to the table. is it same size with the 1st gen? If I'm not mistaken, this is the same optical formula with updated coatings, mechanics and electronics. The first gen was well recieved, so I imagine this will add to the experience favorably. It's good to see 3rd party lens manufacturers get a good feedback from quality products. These products are getting better and better. Yeah the first generation is a great lens that we use regularly here at Fstoppers. I can't wait to try this new lens and see what the big advantages are since the first one was good enough for me. I rented the Tokina once. Overall I really liked it, but the weird thing I experienced with it was this strange prismatic halation around points of light during night photography that I oddly did not see in daylight images. It was an odd anomaly in an otherwise really great (albeit heavy) lens.